In what has become an annual event since being elected to the California State Assembly, Assemblymember Jim Cooper will hold his annual back to school event this Saturday. 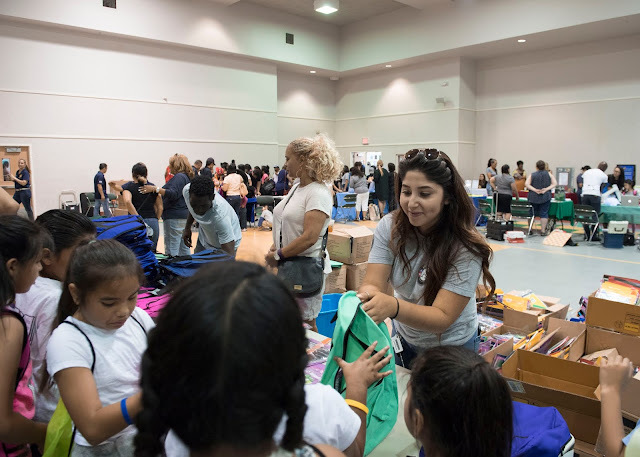 The event, which will be held at Luther Burbank High School, 3500 Florin Road, Sacramento, will provide an opportunity for children to receive a backpack and school supplies as students prepare to return to school in the Sacramento area. In addition to providing supplies, the event will also offer several services to students. Among the services being extended include dental screenings, immunizations, physicals, haircuts, and blood pressure screenings to families in need in partnership with Access Dental, Elica Healthcare, Federico Beauty Institute, and Economic Growth Institute. “This is our third year doing something special for the people of South Sacramento, an area of our community that is often ignored and severely underserved,” Assemblymember Jim Cooper, who represents the 9th Assembly District said. Along with the free services, this year's event will also make supplies available to families and students affected by the devasting Carr Fires near Redding, California. The fair will be held between 10 a.m and 4 p.m. There will be 2,000 backpack kits available for distribution on a first come, first serve basis. Other sponsors of the event include Sacramento Unified School District (SCUSD), Access Dental, Elica Healthcare, Federico Beauty Institute, Vision Service Plans (VSP), Kaiser Permanente, Molina Health Care, and Grocer Outlet Bargain Market.